One of my favorite ways to enjoy green beans–in a chilled green bean salad recipe! 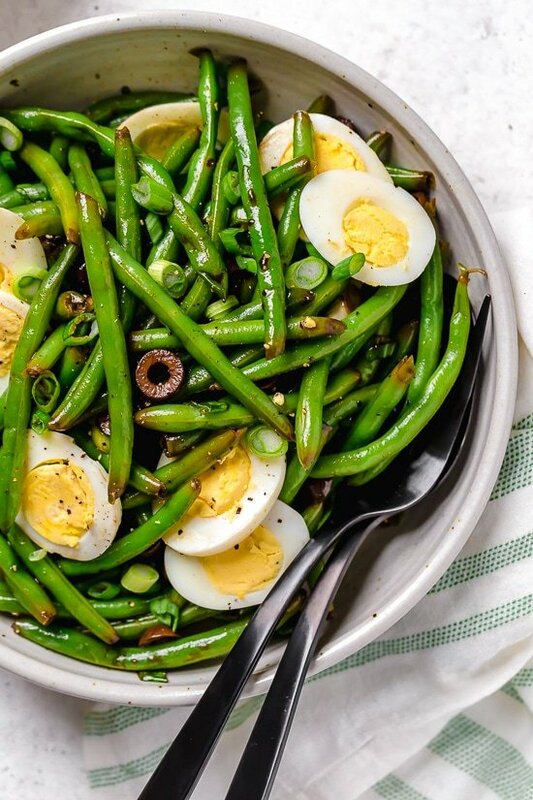 The delicious flavors of these balsamic green beans made with black olives, scallions and eggs complement any meal or holiday potluck. This easy green bean salad is so good, and tastes even better the next day which would make this a great lunch option too! A few other green bean recipes I love, Skillet Chicken with Bacon and Green Beans, Roasted Parmesan Green Beans and Potato and Green Bean Salad.